It's almost summer which means ICE CREAM cravings are at an all time high! If you know me, you know I have a loveeeee for all things cold and delicious. 🍦 Throw some chewy, chocolate-y, PB-ness in there as well and I'm in heaven. Today I'm sharing a healthy "ice cream" cone you can whip up in your home, no ice cream maker needed! I'm honored @bolthousefarms asked me to be a part of their Bolthouse Farms Harvest Network where I get to use the juices and smoothies they sent me to create fun recipes to share with you. They sent me a variety of smoothies this time, a loaf pan, and more to create my own no churn ice cream recipe at home to share with you. 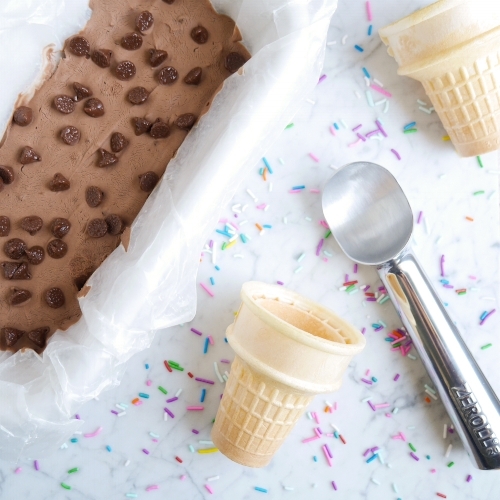 No ice cream maker needed. 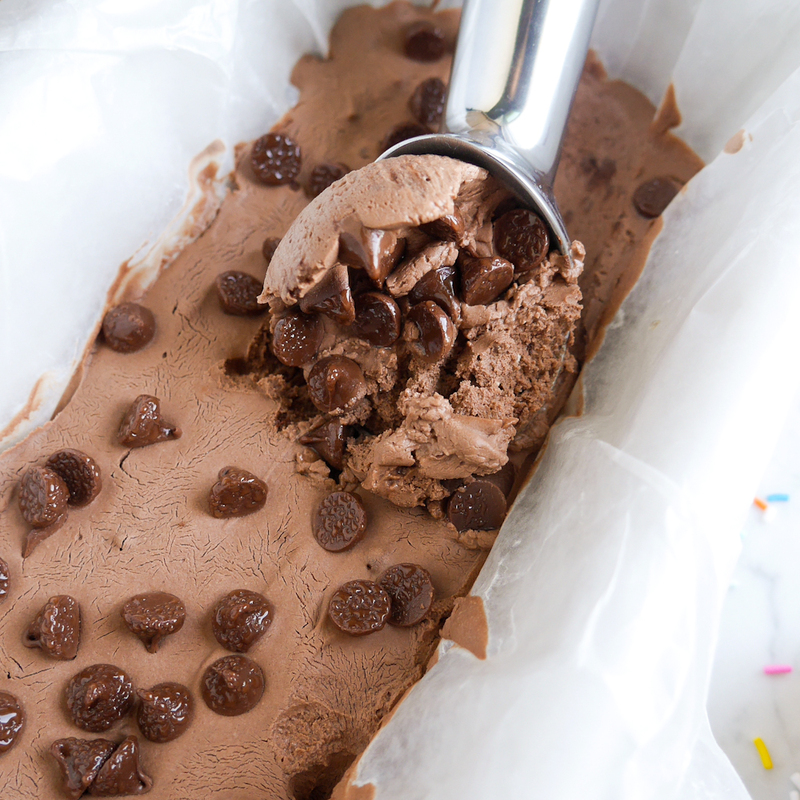 Just grab a bowl, hand mixer, and pan for the freezer! Anything you want to top your ice cream with! Pull the coconut milk out of the fridge and flip upside down. Open the can up and scoop all the coconut cream out (saving the liquid for smoothies or other needs). Place the cream in a bowl and whip with a hand mixer until it's creamy and smooth. Add in the other ingredients and mix. Pour the delicious mixture into your pan and place in the freezer for at least 2 hours. When ready to serve, let the ice cream sit for 10-20 minutes. It will be scoop ready by then! Place in cones, sprinkle away, and enjoy!